The wonderful thing about an adventure is you never know who you may meet, what may happen or where you may end up. Sometimes this can be an experience one wants to forget and never repeat, and sometimes it turns into an adventure to remember. This was the latter.We were referred to this place up the road where some guy with a funny accent like ours had set up shop. Given information like that we had no choice but to head on up and give this bloke and his place the once over. 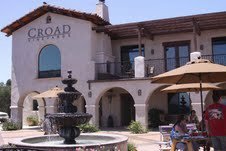 Situated off Vinedo Robles Rd, which comes off Oakdale Rd off Hwy 46 West is Croad Vineyards. Easier to get to than to explain. 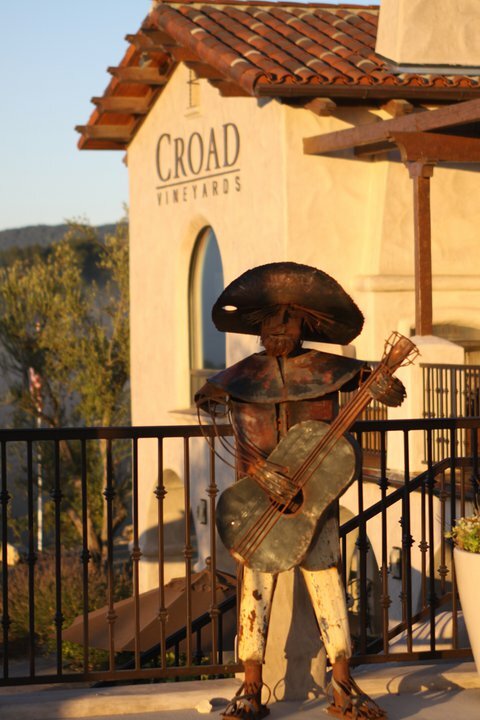 As we turned up onto Vinedo Robles Rd the first thing we saw was the Croad Vineyards welcome sign telling us to “come on up for a down under experience, Kiwis and Aussies welcome”. A nice sentiment but we’ll be the judge of that we thought. As we pulled into the parking lot it was obvious that this was a place still evolving with construction underway on what we found out later is to be a bed and breakfast. As we entered the tasting room none other than the head Kiwi himself (Martin Croad) welcomed us. He's come a long way from New Plymouth. As we exchanged pleasantries and digs (Aussie-Kiwi requirement) Martin set us up with some glasses, Nichole the ever efficient tasting room attendant (wearing a Maori greeting Kia Ora t-shirt) started pouring and the drinking er tasting began. The tasting facility and the patio area are absolutely smashing and the views of the vineyards from the verandah are brilliant. Much to Koala’s surprise (not really) the wines were excellent. A couple bottles were purchased a 2009 Syrah and the 2008 Karakia (Koala knows he broke the one bottle rule). Solid 7’s and ***. While there Martin gave us to a tour of the facilities. This is quite a place to have any number of events from small and intimate to well you work it out with Martin. While on walkabout thru the facilities Martin treated us to a barrel tasting that was of an upcoming Zinfandel release that will be epic. Martin then whipped us up some sausage to go with our wine and we thought about squatting for the night. Let’s face it, good wine great place, food what could go wrong? Maybe next time. All in all a very nice place to hang out with very good wines and a great atmosphere. 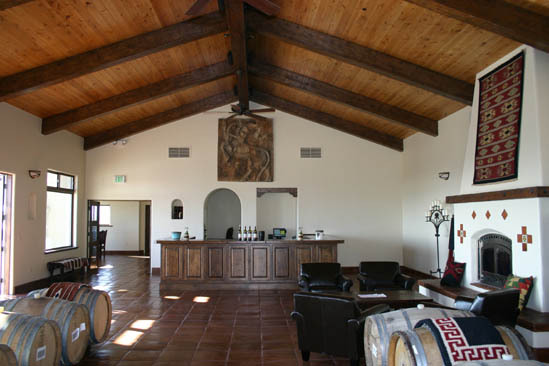 We’ll be coming back here for sure to see how things progress and drink more of Martin's wines. We recon a BBQ afternoon is in order. Lamb chops, bangers, grilled onions and sliced potatoes all between two slices of bread with Watties tomato sauce. Salad if the girls would like and wash it all down with some of Croad’s good wine and have a few, ok probably a lot of laughs. 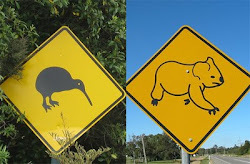 So when in Paso Robles swing on by and tell em Kiwi and Koala sent you! PS. Why no Aussie flag in the flag row and what’s with the metal mariachi’s? PPS. Oh about the welcome sign we were going to be the judges of; Good on ya mate, four thumbs up! Martin is my next-door neighbor, and I've watched his house, his tasting room, and, finally the new hospitality center go up from my backyard. 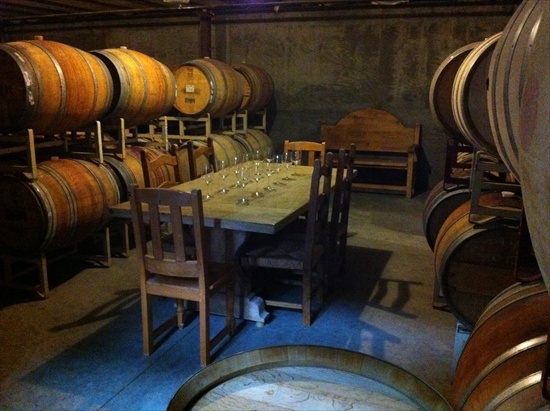 I think his tasting room has one of the best views you can find from a 46 West winery. Hwy 46 East Part 1.